You don’ forget this building only you see it one time. 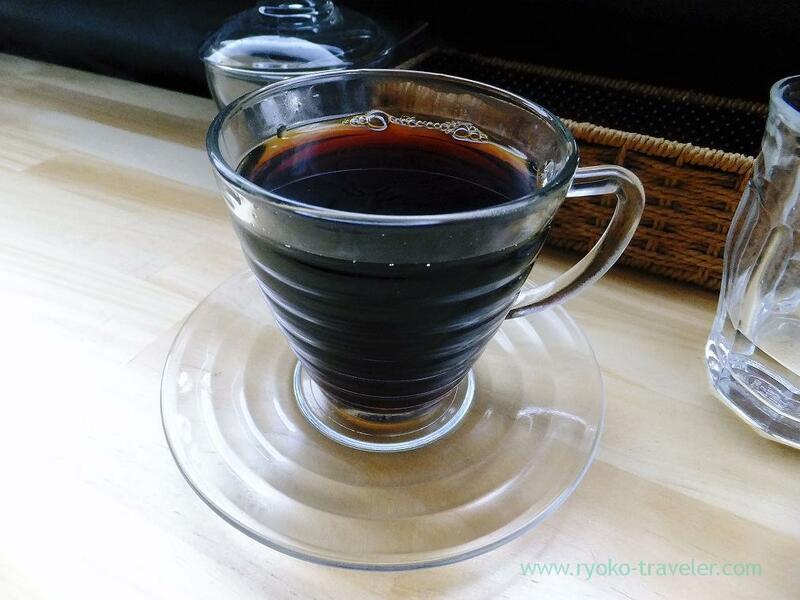 A branch of so popular cafe in Osaka has been open in Ginza area. We visited there around 2 p.m., there were already some people waiting in front of the cafe. But there were some vacant seats. When we got to there, it was just after some guests out. So, fortunately, we didn’t have to wait much time. The cafe’s name is Yuki no Shita Ginza. And my friend ordered this. This cafe serves kakigori all year around. It had characteristic texture of persimmon. Sticky. But it was more sorbet than kakigori. I like fukunaga’s persimmon kakigori better. It took much time to cook. Because, as you see, this pancake was soooo thick. The soft ice cream melted because of hotness of the pancake. But the pancake was so soft and tasty without anything else. I didn’t need sweet potatos paste and soft ice cream on it. Next time, I want to order plain pancake.